First a HUGE Welcome to all me new friends and Hello to everyone! I am humbled and blessed that you are willing to read my rambling blog. Thank you for letting me sharing my projects and little tidbits about my life with you!!!! With 100+ followers friends, (a personal milestone) watch for a giveaway to post over the weekend. Also, if I have finals this week and next so post will be sporadic. Next, Thank you to two special friends that have 'diemmed me worthy' of a blog award. ﻿Thank you so very much for thinking of my for this award! 5. I quit scrapbooking about 8 years ago and returned October 2010. I could pick just a few, so if your reading this please accept this award! Your blog has been deemed Cricut-tastic! 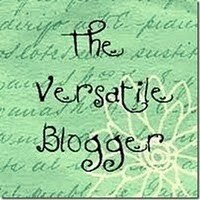 Wear the badge proudly on your blog share it with your friends! 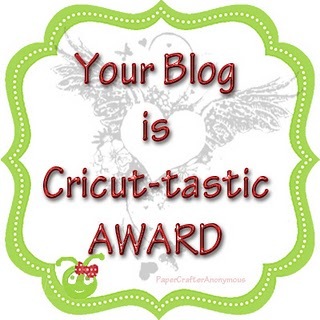 Since cricut is five years old and they have an E2 out share this award with ten people that you think have cricut-tastic blogs! then tell five cricut related things about yourself. I want to thank Rhonda for the award she an amazing talented and sweet lady. Please stop over and check out her fantastic blog, she creates fabulous mini albums and tons of other beautiful projects. 1. I am a night owl. 2. I hate shopping for groceries and clothes. 4. NCIS is one of my favorite TV shows. 5. I love Twilight and Harry Potter more than should be 'normal' for a woman my age. Now, I pass this fabulous award to everyone who creates with their Cricut. Thank you thank you to everyone and also a BIG thank you for all your wonderful and helpful comments. Hi Carol, congratulations on you lovely awards!!! I love Twighlit too and OMG do you watch The Vampire Dairies? It's so good too:) Don't worry Ican't draw either to save my life LOL!! Congratulations on the big 100!!! How fun and the next 100 will come quickly! Have a wonderful weekend!